Identity Data includes name, email address and IP address. Contact Data includes contact email address. Profile/Transaction Data includes details about payments to and from you and details of products and services you have purchased from us. 3 - How is your personal data collected? Contact and Transaction Data from providers of technical and delivery services inside OR outside the EU. Identity and Contact Data from publicly available sources such as the Companies Registration Office. 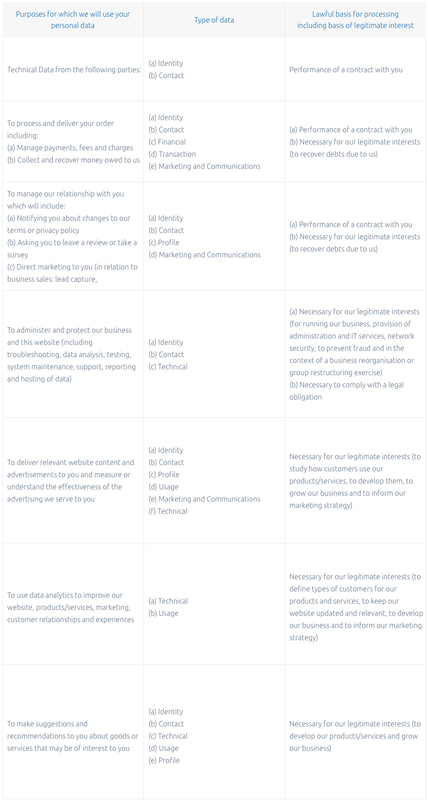 We have set out below, in a table format, a description of all the ways we plan to use your personal data, and which of the legal basis we rely on to do so. We have also identified what our legitimate interests are where appropriate.Note that we may process your personal data for more than one lawful ground depending on the specific purpose for which we are using your data. Please contact us if you need details about the specific legal ground we are relying on to process your personal data where more than one ground has been set out in the table below. We will get your express opt-in consent before we share your personal data with any company outside the CWM group of companies for future marketing purposes. Our Internal Third Parties operate in other jurisdictions outside of the European Economic Area (EEA), including but not limited to United States of America and many of our External Third Parties are based outside the EEA so their processing of your personal data will involve a transfer of data outside the EEA. ‍Performance of Contract means processing your data where it is necessary for the performance of a contract to which you are a party or to take steps at your request before entering into such a contract. ‍Comply with a legal or regulatory obligation means processing your personal data where it is necessary for compliance with a legal or regulatory obligation that we are subject to. Other companies in the CWM group and who are based in Europe and provide IT and system administration services and undertake leadership reporting. Service providers based worldwide who provide Product, IT, Marketing and system administration services. Taxation / revenue authorities, regulators and other authorities based in Ireland who require reporting of processing activities in certain circumstances, from time to time. ‍Request correction of the personal data that we hold about you. This enables you to have any incomplete or inaccurate data we hold about you corrected, though we may need to verify the accuracy of the new data you provide to us. ‍Request erasure of your personal data. This enables you to ask us to delete or remove personal data where there is no good reason for us continuing to process it. You also have the right to ask us to delete or remove your personal data where you have successfully exercised your right to object to processing (see below), where we may have processed your information unlawfully or where we are required to erase your personal data to comply with local law. Note, however, that we may not always be able to comply with your request of erasure for specific legal reasons which will be notified to you, if applicable, at the time of your request. ‍Object to processing of your personal data where we are relying on a legitimate interest (or those of a third party) and there is something about your particular situation which makes you want to object to processing on this ground as you feel it impacts on your fundamental rights and freedoms. You also have the right to object where we are processing your personal data for direct marketing purposes. In some cases, we may demonstrate that we have compelling legitimate grounds to process your information which override your rights and freedoms. ‍Request the transfer of your personal data to you or to a third party. We will provide to you, or a third party you have chosen, your personal data in a structured, commonly used, machine-readable format. Note that this right only applies to automated information which you initially provided consent for us to use or where we used the information to perform a contract with you. ‍Withdraw consent at any time where we are relying on consent to process your personal data. However, this will not affect the lawfulness of any processing carried out before you withdraw your consent. If you withdraw your consent, we may not be able to provide certain products or services to you. We will advise you if this is the case at the time you withdraw your consent.You have the right to make a complaint at any time to the Data Protection Commissioner (DPC), the Irish supervisory authority for data protection issues (www.dataprotection.ie). We would, however, appreciate the chance to deal with your concerns before you approach the DPC so please contact us in the first instance. When you interact with CWM through our website, we try to make that experience simple and meaningful. When you visit the website, our web server sends a cookie to your computer. Cookies are small pieces of information which are issued to your computer when you visit a website and which store and sometimes track information about your use of the website. For example, cookies are used to personalise web search engines and to store shopping lists of items a user has selected while browsing through a virtual shopping mall. A number of cookies we use last only for the duration of your web session and expire when you close your browser. Other cookies are used to remember you when you return to the website and will last for longer. Most web browsers automatically accept cookies but, if you prefer, you can change your browser to prevent that or to notify you each time a cookie is set. You can also learn more about cookies by visiting www.allaboutcookies.orgwhich includes additional useful information on cookies and how to block cookies using different types of browser. Please note, however, that by blocking or deleting cookies used on the website, you may not be able to take full advantage of the website. These cookies are essential in order to enable you to move around websites and use the websites’ features, such as accessing secure websites or secure areas of websites. Without these cookies, services you have asked for, such as identifying you as being logged in to the website throughout your visit, cannot be provided. These cookies allow the website to remember choices you make (such as your preferred language) and provide enhanced, more personal features. These cookies can also be used to remember changes you have made to text size, fonts and other parts of web pages that you can customise. They may also be used to provide services you have asked for such as watching a video or commenting on a blog. Other examples include cookies that keep track of your progress when filling online application forms. Targeting cookies remember individual websites you have visited and help CWM to present relevant and targeted online advertising to you. Targeting cookies may be placed on your machine when you visit the website. 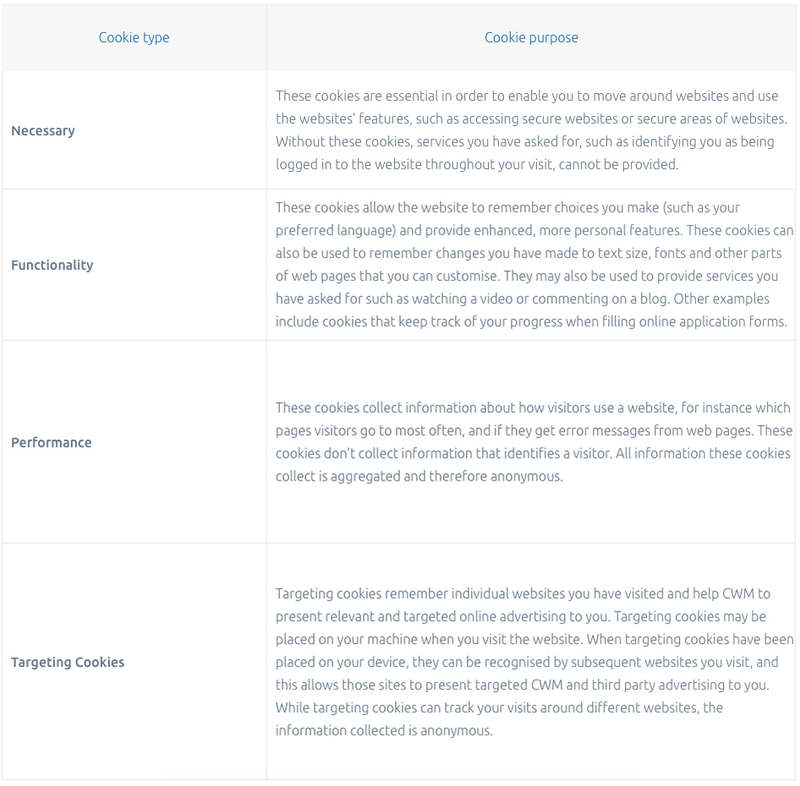 When targeting cookies have been placed on your device, they can be recognised by subsequent websites you visit, and this allows those sites to present targeted CWM and third party advertising to you. While targeting cookies can track your visits around different websites, the information collected is anonymous. "Even if you only want to set up a basic WordPress install on a single machine, getting started with the AWS Management Console can be daunting. 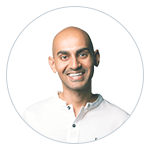 Cloudwith.me reduces this process to just a few clicks." "To reduce the complexity involved in creating and maintaining AWS servers, Cloudwith.me has created a service to make the whole process easier, especially for smaller organisations." "Cloudwith.me provides an intuitive dashboard to help customers choose options for their AWS servers and get started in the cloud without interrupting ongoing business processes, so can avoid wasting time and resources on the details." "Cloud With Me is a Game Changer."